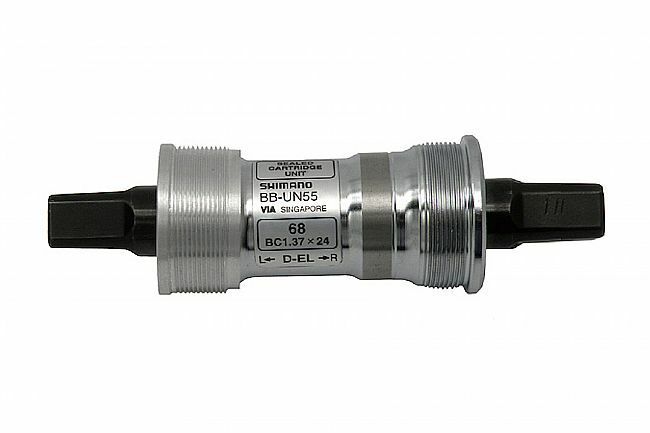 With the Shimano UN55 Square Taper Bottom Bracket, you get a highly durable, smooth-rolling bottom bracket for threaded bottom bracket shells and square-tapered cranksets. The sealed bearing cartridges keep water, dirt, mud, and road grime from penetrating the unit, keeping your bottom bracket rolling grind-free for seasons. Went on line and ordered the part I needed, screwed up and ordered the wrong one , emailed the bikestiresdirect about my mistake and they could not have been more helpful , understanding and quick to respond to straighten out my screw up and insured my order was correct . Perfect transaction .